Athletic Awards Banquet, New MJHS App, and More! Please plan to attend the Fall and (partial) Winter Athletics Awards with a Reception (dessert and beverages) to follow on Sunday, February 26th at 3:00 pm. Basketball and Rifle will not be included in this Athletics Awards since their seasons have not ended. They will be included in the Winter / Spring Athletic Awards in May. Please spread the word! Thank you. Go Jags! 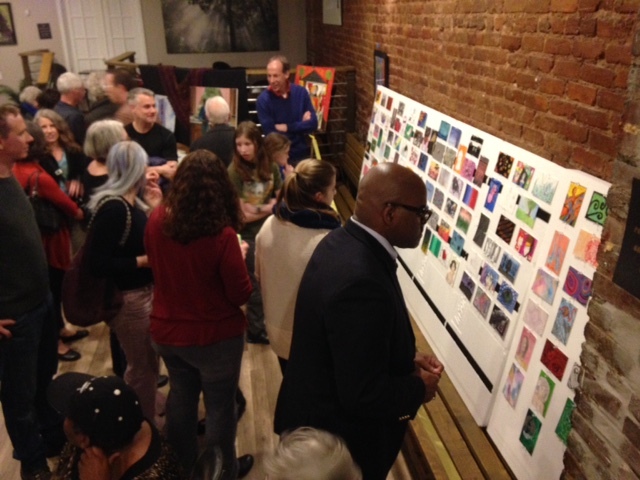 Art Postcard Show a Success! The 2nd Annual MJHS PTSA Art Postcard Show was a big success — we raised $975! We’d like to thank Natalie Rosbottom (and family!) for a wonderful job leading and organizing this event. Big thanks also to Billy & Tait Rosbottom, Sonia & Luke Fuller, Erica Jong, Oliver Guynes, and Kim Melton for volunteering! This year we introduced a silent auction, with beautiful artwork and crafts donated by Kelly Hartley, Julie Stoverink, Kimberly Durham-Wright, Leigh Griffin, Spencer Scott, Allen Hoss, Ceri McCarron, Candace McCollough, and Nina Thomas. Art teachers Ms. DeLong and Ms. Shepard got their students involved, donated their own postcards, and provided a raffle prize! Thank you Rahel Belfield & staff at Grant Park Coffee House for the fantastic gallery space and staying open late to serve delicious baked desserts! And finally, to everyone who donated the AMAZING art postcards themselves, we couldn’t have done this without you! Thank you!! 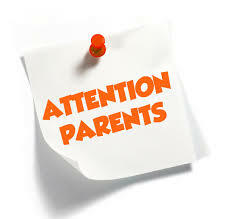 Please click here for important parent information regarding Milestone testing (which starts in April). Also, the administrative team would like to collect snacks and drinks for students at the upcoming EOC Milestone lock-in tutorials, which will start in March and April (specific dates to be determined). Snack donations — chips, granola bars, drinks, cookies, etc. — would be greatly appreciated! Please contact Mr. Danser to make a snack donation, and thank you! Want to get the latest school announcements, find the date for the next baseball game, contact a teacher, sign up to support the PTSA, access infinite campus, or read the Roar (just to name a few)? 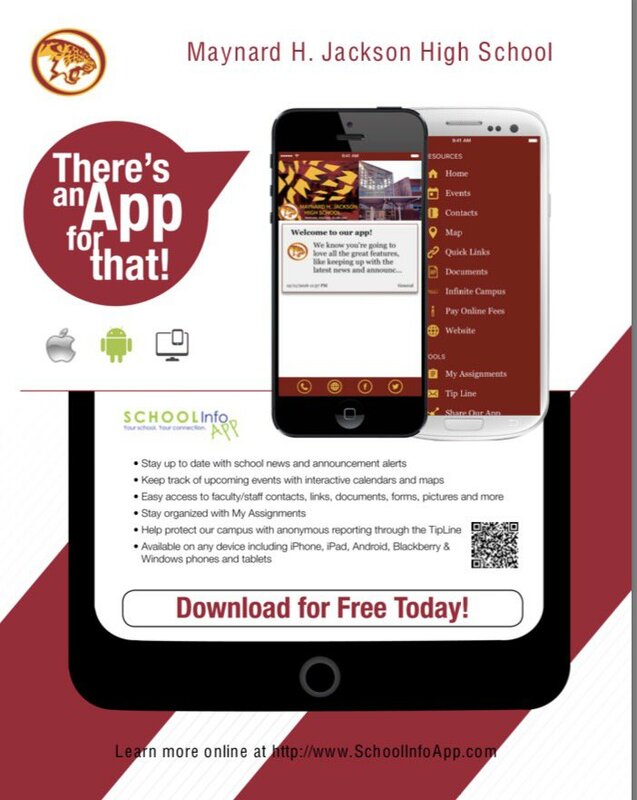 The new Maynard Jackson app makes it easy to find what you need. Check it out! The Maynard Jackson High School PTSA is pleased to announce the 2017 Senior Scholarship Awards of $500 for 4 students of the 2017 graduation class who are members of the MJHS PTSA as of March 1, 2017. Applicants must be committed to pursuing post-secondary institutions of high learning. This application must be submitted online by 4:00 pm on March 24, 2017. The scholarship recipients will be announced at the Senior Visions Program on May 21 at MJHS. Consideration is given to students who are active in the school and community, and who have shown marked growth in character, academics and pursuit of goals. Join us for coffee and conversation with Principal Stephanie Johnson! 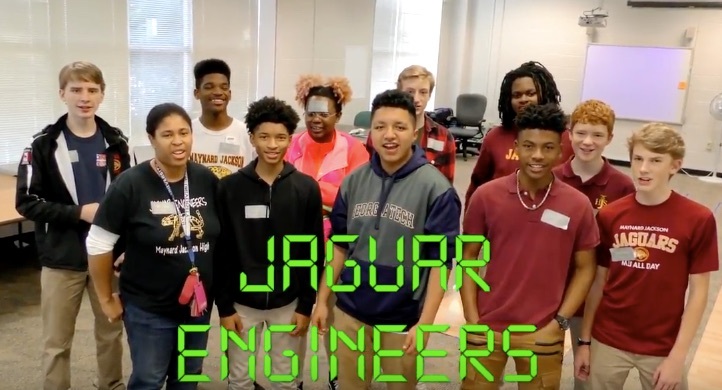 Have you seen the video made by the Robotics team at Maynard? In January, they led a workshop for students from Wesley International and MLK Middle School to learn computer programming. Students learned to program sphero balls (read the full story here). If you would like to help out or if you have any questions about how you might get involved, please contact us! We would love to talk to you. Please direct your questions to mjhsptsa@gmail.com. Thank you!